Young students are so much fun! They are imaginative, creative, and extremely excited about learning. Our Grammar School equips students with the necessary tools and facts of learning. They store away the foundational building blocks of education during this time, while their minds are most receptive to memorization and observation. We seek to engage these students through guided discovery, clever chants, rhymes, educational games, and creative projects. Emphasis is placed on Bible, math, and language. Students learn the basics of Bible, history, English, Latin (beginning in the third grade), literature, math, science, music, and art. 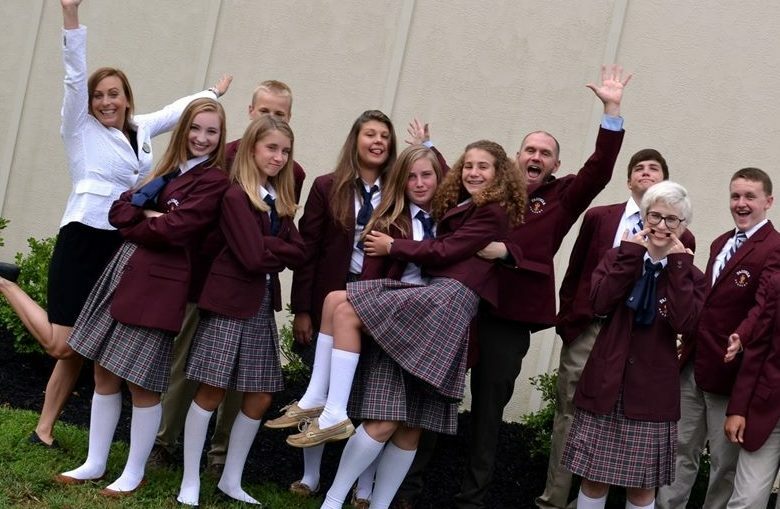 Our program builds a solid foundation for our Grammar School students through intellectual and spiritual integration, preparing them to continue in their development into our Upper School. For Kindergarten through third grade, you may choose a 5-day program or a 3-day university schedule that involves a combination of classroom and at-home instruction each week, with parent-friendly lesson plans and materials completely provided for the at-home days. University schedule students are on campus Monday, Wednesday, and Friday. On Tuesday and Thursday, they complete their prepared packets at home. Fourth grade and up are on a traditional five-day schedule.